1. 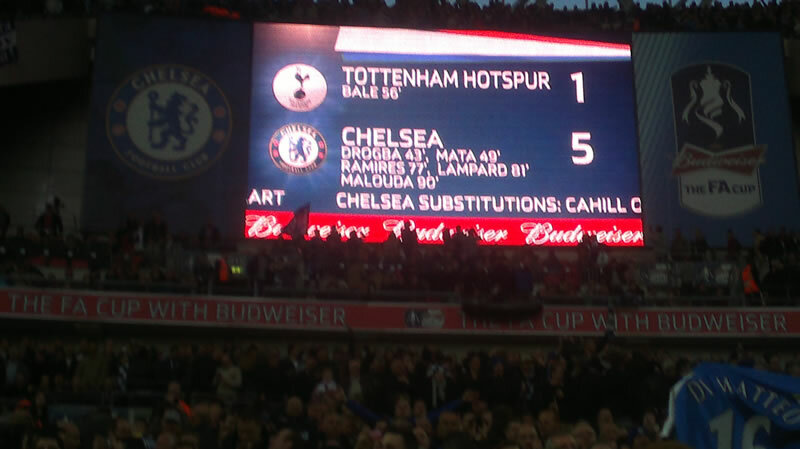 View of Sp*rs fans leaving after the 4th goal, a free kick by Lampard. This is at 81 minutes, with 14 minutes of football left to play. 2. View of Sp*rs fans leaving after the 5th goal. 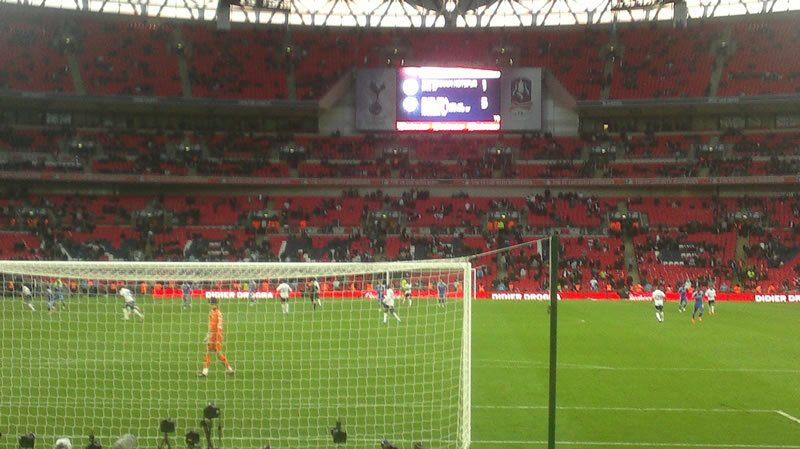 This is now the 92nd minute and the Sp*rs end is nearly empty. 3. 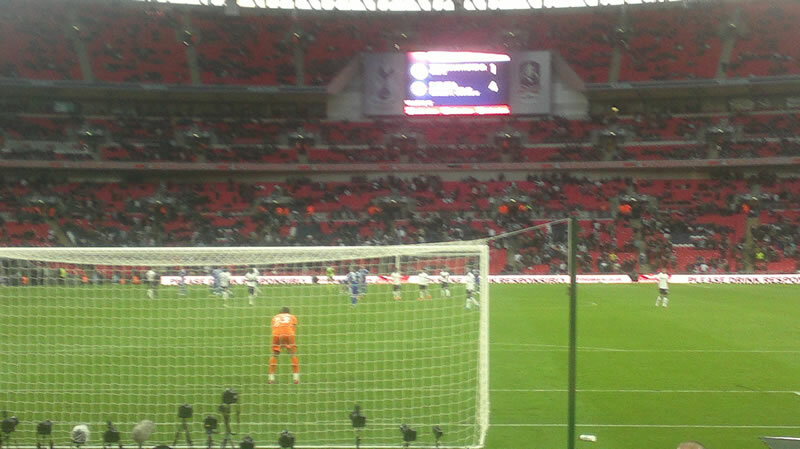 View of the Sp*rs end soon after the final whistle – empty. 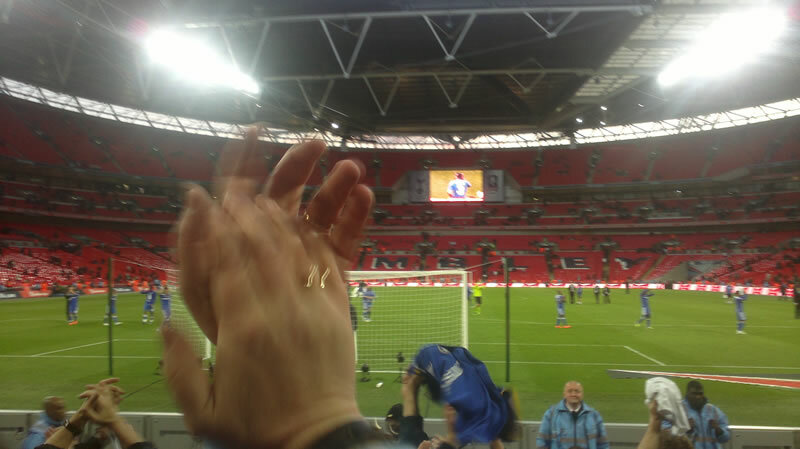 The Chelsea players are coming over to the fans. The Sp*rs players have just left the pitch. 4. View of the scoreboard behind me, from my seat. LOL.